The new series of The Unemployables starts on Thursday on RTE2. I had the pleasure of being the series producer. When we made the pilot last year I knew casting was key - we needed people who would be honest and articulate in talking about the difficulties of finding a job. We found 10 brave young people who allowed us to follow their journey from unemployment to hopefully getting a job. This series was the brainchild of Darren Kennedy and Jennifer Maguire, who worked closely with me and the production team to find the right people for the series and to find the right experts. Although the figures for unemployment are dropping, they are still at an unacceptable level of 10pc, and Darren and Jennifer were keen to help those who wanted and needed some help. These two presenters have to be two of the hardest working people I have met. Jennifer would come to filming after her morning stint on radio. Bear in mind that she was in RTE radio at about 5am and she was eight months pregnant. This total professional is as tough as they come. The fact that the two presenters were pure grafters was an inspiration in itself to those who took part in the show. As you will see in the series, we deal with young people who just can't seem to find a job. Whatever the circumstances (lack of education, not sure what their ideal job is), there was one contributing factor that united them all - lack of confidence. I remember when I was in my early 20s in Dublin and unemployment and emigration were a huge problem. Ireland was bleak and the Celtic Tiger hadn't yet begun. I, like many of my pals, couldn't find work. I would sign on in the dole centre in Thomas Street, get my few bob for the week, buy some tobacco and papers from the sellers outside and mope around Dublin. It was so boring, so depressing. After a few weeks I could feel the confidence gradually leaving my body. When you lack confidence, everything is difficult. You become self-critical, you go in on yourself and you don't feel like you are contributing to anything. I remember going to an interview and feeling I did not deserve the job. In The Unemployables, we had to work very hard at making each young person feel they were worthy of employment and feel they deserved a chance. Unemployment is brutal to anyone's confidence and it can be soul-destroying. Although we couldn't change a system or an economic crises, we have tried to show young people different ways to help them find work. So tune in to The Unemployables on RTE2 on Thursday at 9pm. 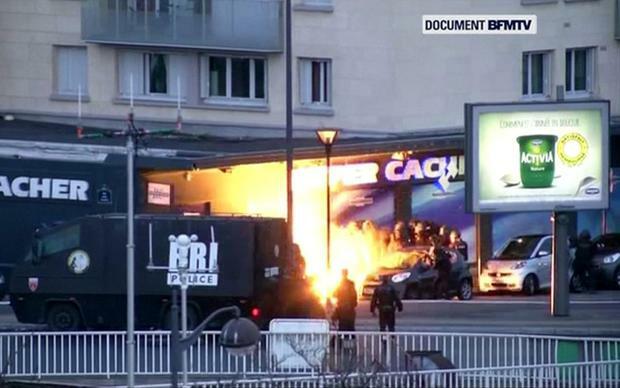 Not so long ago, the world went into shock after gunmen burst into the offices of Charlie Hebdo magazine in Paris and shot several employees who were seated around a table having a meeting. They were murdered because of their regular cartoon portrayals of the prophet Muhammad that some in the Muslim community found offensive. This publication knew that extreme Islamists were not happy. They were sued twice, and Stephane Charbonnier, the editor, was under police protection. After the massacre, people united in their support for the 11 victims. Newspapers put photos online of journalists holding up pieces of paper with the words "Je suis Charlie". People changed their Facebook photos to the same poster image. The white middle-classes of the western world joined forces from their cosy little social media cocoons to condemn. Last week, Islamic terrorists stormed Garissa University College in Kenya and murdered 148 people. The reason for the massacre? The Al-Shabaab group from Somalia says it is at war with Kenya. It is astounding when you compare the reaction to the Kenya massacre with the Parisian shootings. No one has changed their Facebook photos in support. No one is holding up pieces of paper bearing the words "I am Garissa". These people in Kenya were students going about their everyday life. The Charlie Hebdo employees were pushing the limits. Yet we care very little for those 148. All the Charlie Hebdo and Garrisa victims are innocent people whose lives have been cut short by evil. They deserve the same degree of outrage and support. But because of our small-minded, subconscious racism, only the French victims become heroes. I was sorry to hear about Pete Bennett from Big Brother being homeless. Pete was the cheery cheeky chappie who had Tourette's Syndrome and won BB in 2006. He also won the hearts of the public in Britain and Ireland. It was the first time we had seen someone with Tourette's in a show that wasn't a documentary. Pete was charming and his speech impediment was part of that charm. It seems that after the show he became addicted to ketamine and lost everything he had. Every time I hear of how someone from Big Brother is doing, I feel a sort of connection to them. I can understand how this would have happened. So much is thrown at you when you win this show and then it all disappears. I hope Pete gets the support and love he needs to sort his life out. I love Bill Murray. His Twitter postings always make me laugh. His latest was: "Cell phones keep getting thinner and smarter . . . people the opposite." But I love him even more after watching his recent movie, St Vincent on DVD. He's a cranky, boozing, belligerent man who lives on his own. 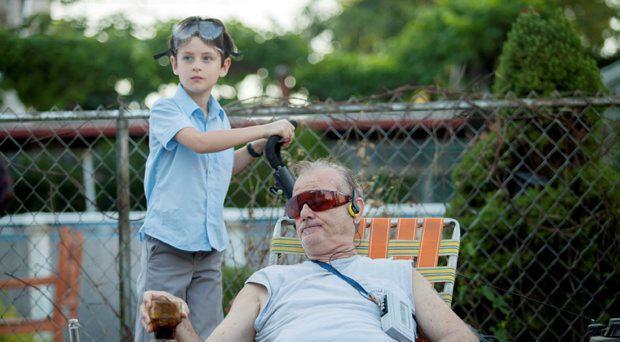 When a mother and son (Melissa McCarthy from Bridesmaids and a brilliant new young actor called Jaeden Lieberher) move in next door, the boy and the cantankerous old man form a wonderful relationship. If you fancy a bit of Little Miss Sunshine mixed with some Murray magic, get this movie out.